Mosiah 27 usually causes young people to ask questions about those that they love who are not on the gospel path. I like to emphasize that the Lord does not judge us until the Final Judgment, and so it behooves us to love all of Heavenly Father’s children, while petitioning the Lord for those we love who have strayed. I am so grateful that the Lord is patient with me! The following quotes come the September 2002 Ensign. I have shared these quotes with many over the years and have found them to extend hope! I do not understand all of this completely, but I trust in the power of the sealing ordinance and have hope that the Lord will continue to reach out to all those who have strayed. I know that he has reached out to me in my life in my shortcomings. A scripture which embodies this sentiment is as follows, “How merciful is our God unto us, for he remembereth the house of Israel, both roots and branches; and he stretches forth his hands unto them all the day long; and they are a stiffnecked and a gainsaying people; but as many as will not harden their hearts shall be saved in the kingdom of God” (Jacob 6:4). “The measure of our success as parents … will not rest solely on how our children turn out. That judgment would be just only if we could raise our families in a perfectly moral environment, and that now is not possible. Statements by General Authorities of the Church describing the influence of faithful parents on wayward children have been and continue to be a source of great familial comfort.1The consolation arises from the hope these messages seem to proffer that parents who honor gospel covenants, obey the Lord’s commandments, and serve faithfully can influence the salvation of their sons and daughters who go astray. However, the interpretation of these statements by some members of the Church has contributed to a measure of doctrinal misunderstanding. The confusion derives from the apparent inconsistency of these interpretations with the doctrine of the Atonement of Jesus Christ and the principles of moral agency and individual accountability for sins and transgressions. A review of truths emphasized repeatedly in the standard works, of clarifying teachings from modern apostles and prophets, and of relevant evidence from Church history records can sustain hope while addressing the misunderstanding. This clarification is more consistent doctrinally. 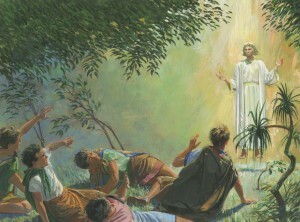 Except for the additional information contained in the Coray records, the concept of unconditional salvation for disobedient children would contradict many foundational teachings of the Prophet Joseph Smith, including the second article of faith that “men will be punished for their own sins” (Articles of Faith 1:2). “But behold, ye cannot hide your crimes from God; and except ye repent they will stand as a testimony against you at the last day. “Now my son, I would that ye should repent and forsake your sins, and go no more after the lusts of your eyes, but cross yourself in all these things; for except ye do this ye can in nowise inherit the kingdom of God. Oh, remember, and take it upon you, and cross yourself in these things” (Alma 39:8–9; emphasis added). “And this to the intent that whosoever will believe might be saved, and that whosoever will not believe, a righteous judgment might come upon them; and also if they are condemned they bring upon themselves their own condemnation. “He hath given unto you that ye might know good from evil, and he hath given unto you that ye might choose life or death; and ye can do good and be restored unto that which is good, or have that which is good restored unto you; or ye can do evil, and have that which is evil restored unto you” (Helaman 14:29–31; emphasis added). The Church has no records of any additional teachings on this specific topic by the Prophet Joseph Smith. 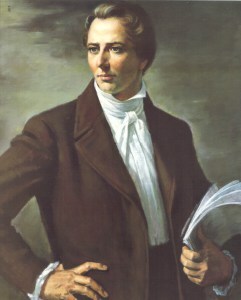 Though many subsequent Church leaders have differed in their emphasis on various aspects of the statements by Joseph Smith, Orson F. Whitney, and others, they agree on the fact that parents who honor temple covenants are in a position to exert great spiritual influence over time on their children. 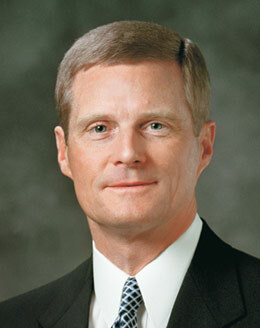 Faithful members of the Church can find comfort in knowing that they can lay claim to the promises of divine guidance and power, through the inspiration of the Holy Ghost and the privileges of the priesthood, in their efforts to help family members receive the blessings of salvation and exaltation. The “tentacles of Divine Providence” described by Elder Whitney may be considered a type of spiritual power, a heavenly pull or tug that entices a wandering child to return to the fold eventually. Such an influence cannot override the moral agency of a child but nonetheless can invite and beckon. Ultimately, a child must exercise his or her moral agency and respond in faith, repent with full purpose of heart, and act in accordance with the teachings of Christ. “We remember that the prodigal son wasted his inheritance, and when it was all gone he came back to his father’s house. There he was welcomed back into the family, but his inheritance was spent. [See Luke 15:11–32.] Mercy will not rob justice, and the sealing power of faithful parents will only claim wayward children upon the condition of their repentance and Christ’s Atonement. Repentant wayward children will enjoy salvation and all the blessings that go with it, but exaltation is much more. It must be fully earned. The question as to who will be exalted must be left to the Lord in His mercy. “There are very few whose rebellion and evil deeds are so great that they have ‘sinned away the power to repent.’7 That judgment must also be left up to the Lord. He tells us, ‘I, the Lord, will forgive whom I will forgive, but of you it is required to forgive all men’ [D&C 64:10]. President Faust’s teachings authoritatively summarize the things we do and do not know about righteous parents and wayward children. The influence of parents who honor covenants and obey commandments indeed can have a decisive spiritual impact upon children who stray by activating the tentacles of divine Providence—in ways that have not been revealed fully and are not understood completely. However, righteous parental influence (1) does not replace in the life of an individual the need for the redeeming and strengthening power of the Atonement of Jesus Christ, (2) does not overrule the consequences of the unrighteous exercise of moral agency, and (3) does not negate the responsibility of an individual as an agent “to act … and not to be acted upon” (2 Nephi 2:26). Faithful parents may find strength to endure as they follow the examples of other righteous parents with disobedient children. In the Book of Mormon, Father Lehi consistently and constantly encouraged his wayward sons to turn to the Lord. Lehi “spake unto Laman, saying: O that thou mightest be like unto this river, continually running into the fountain of all righteousness! “And he also spake unto Lemuel: O that thou mightest be like unto this valley, firm and steadfast, and immovable in keeping the commandments of the Lord! “Now this he spake because of the stiffneckedness of Laman and Lemuel; for behold they did murmur in many things against their father” (1 Nephi 2:9–11). “And I desire that ye should remember to observe the statutes and the judgments of the Lord; behold, this hath been the anxiety of my soul from the beginning. “O my sons, that these things might not come upon you, but that ye might be a choice and a favored people of the Lord. But behold, his will be done; for his ways are righteousness forever” (2 Nephi 1:14, 16–17, 19). An angel of the Lord appeared to rebellious Alma the Younger and declared, “The Lord hath heard the prayers of his people, and also the prayers of his servant, Alma, who is thy father; for he has prayed with much faith concerning thee that thou mightest be brought to the knowledge of the truth; therefore, for this purpose have I come to convince thee of the power and authority of God, that the prayers of his servants might be answered according to their faith” (Mosiah 27:14). This remarkable experience was due in part to the prayers of Alma—whom the angel twice recognized as a servant of God. Thus, faithful parents can invite the power of heaven to influence their children. Nevertheless, those children remain agents unto themselves, and the choice to repent or not ultimately is theirs. Alma the Younger did repent of his sins and was born of the Spirit (see Mosiah 27:24), the outcome all parents of wayward children yearn for with all of their hearts. As parents are patient and persistent in loving their children and in becoming living examples of disciples of Jesus Christ, they most effectively teach the Father’s plan of happiness. The steadfastness of such parents bears powerful witness of the redeeming and strengthening powers of the Savior’s Atonement and invites wayward children to see with new eyes and to hear with new ears (see Matthew 13:43). Acting in accordance with the teachings of the Savior invites spiritual power into our lives—power to hear and heed, power to discern, and power to persevere. Devoted discipleship is the best and only answer to every question and challenge. 1. Orson F. Whitney, in Conference Report, Apr. 1929, 110. 2. Brigham Young, as quoted in Joseph Fielding Smith, Doctrines of Salvation, comp. Bruce R. McConkie, 3 vols. [1954–56], 2:90–91. 3. Lorenzo Snow, in Collected Discourses, comp. Brian H. Stuy, 5 vols. [1987–92], 3:364. 4. President Boyd K. Packer, “Our Moral Environment,” Ensign, May 1992, 68. 5. C. S. Lewis, chapter 8, “Hell,” The Problem of Pain (New York: Macmillan, 1962), 127; emphasis in original. 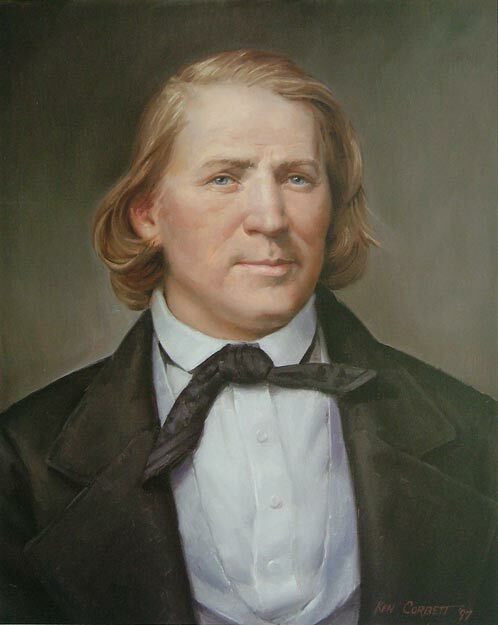 See Joseph Smith, Teachings of the Prophet Joseph Smith, comp. 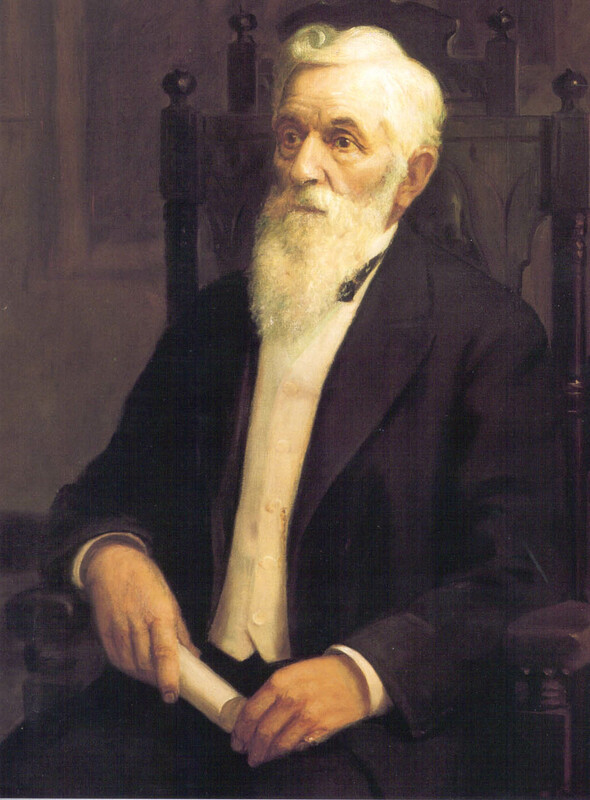 Joseph Fielding Smith (1938), 321; Joseph Smith, in History of the Church, 5:530; Brigham Young, inJournal of Discourses, 11:215; Lorenzo Snow, in Brian H. Stuy, comp., Collected Discourses, 5 vols. (1987–92), 3:364; Joseph Fielding Smith, in Doctrines of Salvation: Sermons and Writings of Joseph Fielding Smith, comp. Bruce R. McConkie, 3 vols. 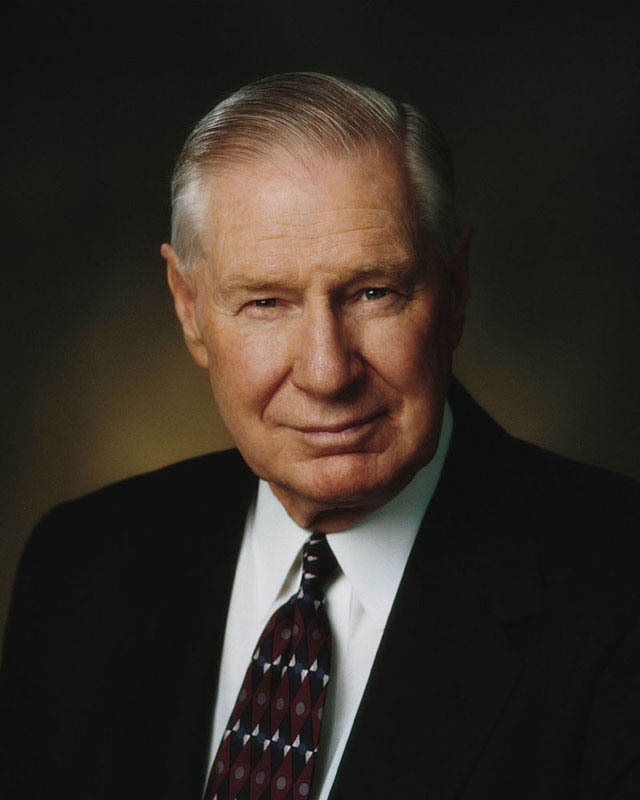 (1954–56), 2:90–91, 179, 182–83; Bruce R. McConkie, Mormon Doctrine, 2nd ed. (1979), 685; Spencer W. Kimball, “Ocean Currents and Family Influences,” Ensign, Nov. 1974, 111–12; Howard W. Hunter, “Parents’ Concern for Children,” Ensign, Nov. 1983, 63; Boyd K. Packer, “Our Moral Environment,”Ensign, May 1992, 68; Russell M. Nelson, “Doors of Death,” Ensign, May 1992, 73; Gordon B. Hinckley, in “Prophet Returns to ‘Beloved England,’” Church News,Sept. 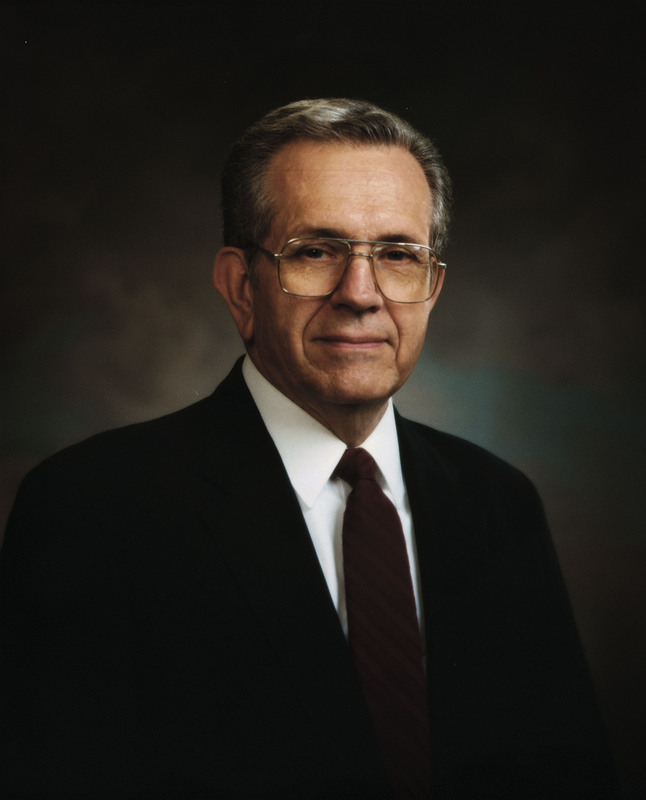 2, 1995, 4; Boyd K. Packer, “Do Not Fear,” Ensign,May 2004, 77; Robert D. Hales, “With All the Feeling of a Tender Parent: A Message of Hope to Families,” Ensign,May 2004, 88. Joseph Smith, Teachings of the Prophet Joseph Smith,comp. Joseph Fielding Smith (1938), 321. Joseph Smith, The Words of Joseph Smith, comp. Andrew F. Ehat and Lyndon W. Cook (1980), 241; emphasis added. See also page 300. These scriptures illustrate the principle that men and women are agents who are blessed with and can exercise moral agency and are accountable to God for their actions. The list is not intended to be exhaustive:2 Corinthians 5:9–10; Galatians 6:7–9; Mosiah 4:30;7:30–33; Alma 12:12–14; 33–35; 34:13–17; 42:24–30;Doctrine and Covenants 6:33–34; 101:78; Moses 7:32–33. Alonzo A. Hinckley, in Conference Report, Oct. 1919, 161. See John K. Carmack, “When Our Children Go Astray,”Ensign, Feb. 1997, 7. James E. Faust, “Dear Are the Sheep That Have Wandered,” Ensign, May 2003, 62. This entry was posted in Agency, Atonement, Book of Mormon, Forgiveness, Mercy, Miracles. Bookmark the permalink.